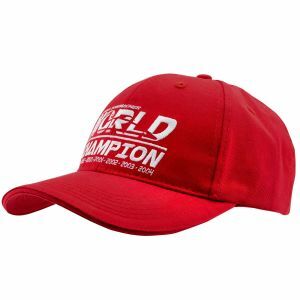 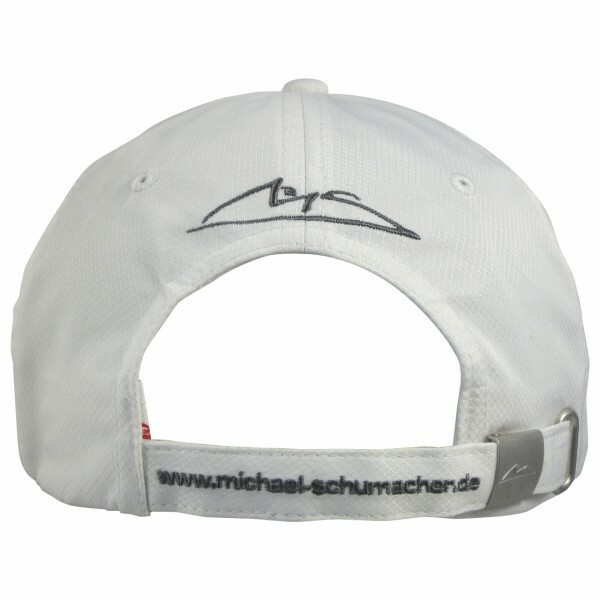 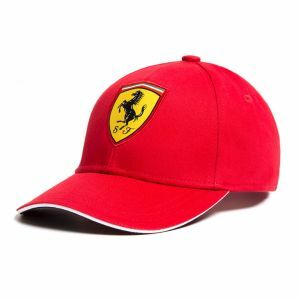 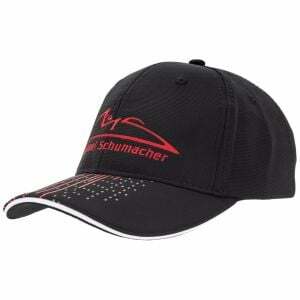 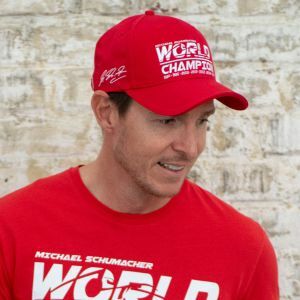 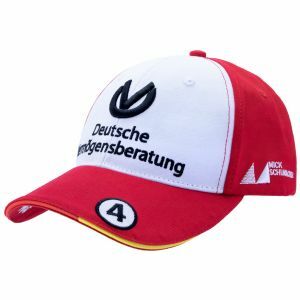 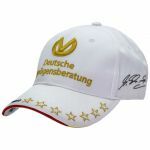 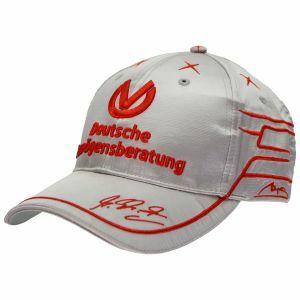 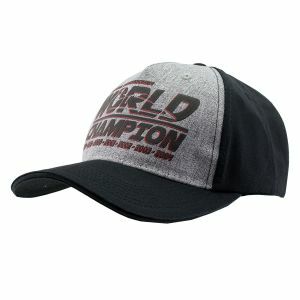 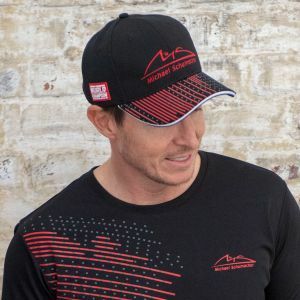 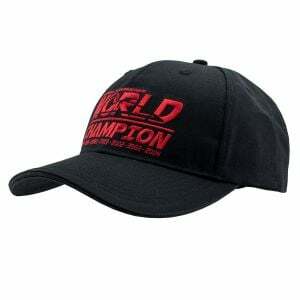 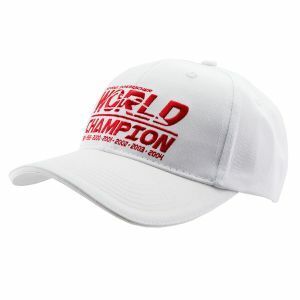 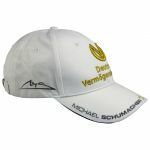 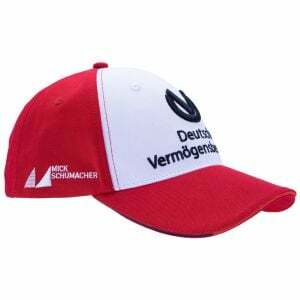 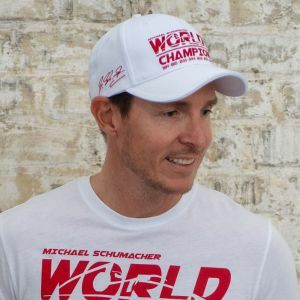 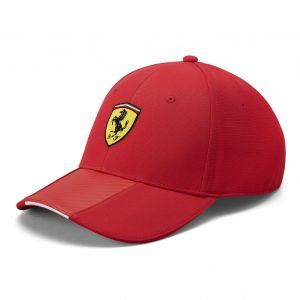 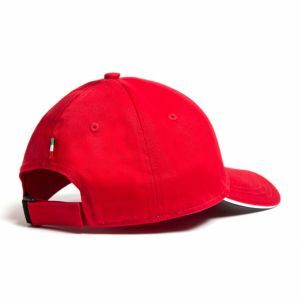 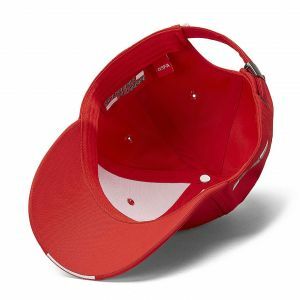 White Michael Schumacher Cap from 2013 with Deutsche Vermögensberatung as sponsor. 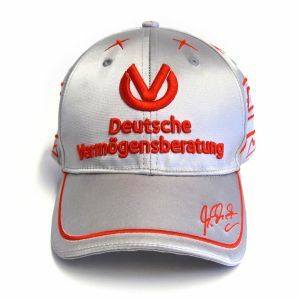 In the front area, the DVAG logo is embroidered in a 3D embroidery, while the dragon logo is embroidered on the inside of the umbrella. The seven stars on the umbrella stand for Michael Schumacher's seven World Championship titles.